The most common cause of odours in carpets is bacteria, most prevalent during the summer months. Pets and daily activity can cause these odours as well. So we've put together some top tips that will help you easily remove carpet odours. To eliminate food odours, first get the place aired out by opening windows and doors. Switch on a fan for an even quicker effect, then put your vacuum to work. 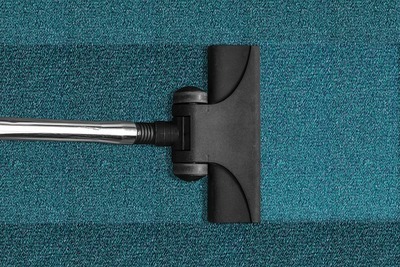 If the smell is too pungent, or if none of these solutions worked, spread an ample amount of baking soda across the carpet and allow it to sit overnight, vacuuming it the next morning. This is also a good solution for cigarette smoke odours. Other options include running a steam cleaner or a wet-dry vacuum over the affected areas. Again, opening up and airing out the place and engaging your fan is a good way to tackle pet odours. But, for instant relief, vacuuming is an excellent start. 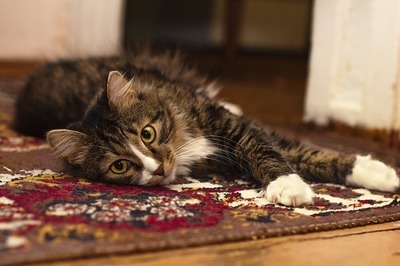 Baking soda can rescue carpets suffering pet odours too. Dust the carpet with baking soda, leave it overnight, and then vacuum it the next morning. But the best solution by far is to a dry steam clean. Electrodry have pioneered and popularised this system and it leaves the carpets to an almost new state. With hydrogen peroxide, you can spot-clean mould or mildew stains on carpets. Mix together a solution by adding three teaspoons of hydrogen peroxide and five teaspoons of water. Then, using a thick paintbrush, brush the solution onto the affected area. I suggest you test this first on a non-visible part of the carpet, as hydrogen peroxide can potentially bleach or fade colours. An alternative solution is a mixture of two cups of water, half a cup of baking soda, and two cups of distilled white vinegar. Apply this mixture with a sponge or a brush to the affected area. Be careful not to use too much and risk soaking the carpet with too much solution. Again, we suggest you test first on a non-visible part of your carpet. Remove any excess moisture with a wet-dry vacuum and then leave the windows open to let enough air into the room. Acting quickly will help you avoid these odours lingering. If the stain is old and already dried, start by washing the carpet. For a fresh urine stain, however, place a few layers of paper towel directly on it. Then, place a layer of newspapers on your paper towels. Place a heavy object or stand firmly on the paper for at least a minute. Remove and repeat the layering process with new towels and newspaper until the area is merely damp. If the smell is strong and you need a further option, apply an enzyme-based carpet cleaner to the stain and leave for 24 hours. Then, leave it to dry by opening your windows or with the help of a portable fan. Hydrogen Peroxide used in moderation and properly diluted is also another method of removing urine stains and smell in carpets. Our solutions have proven to be effective. They're quite easy to carry out but most importantly, they pose no threat to either humans or pets.